Chabad Tallit. 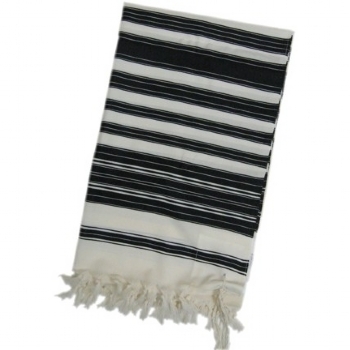 The Chabad tallit featuring Chabad special 100% Lamb’s wool and striping, cotton lining comes standard on this Chabad tallit. Angled double Tzitzit holes, and Chabad tied tzitzis and no atarah. The Chabad Tallit. We sell the Chabad Tallis at the best price to all the Chabad houses across the world.